Apparent Ministerial unhappiness with the performance of at least two Armscor board members has not affected the procurement organisation’s financial performance. Auditor General Terence Nombembe found no deficiencies in Armscor’s internal controls or non-compliance with laws and regulations identified by his staff on review of the State-owned security procurement agency for the 2012/13 financial year, according to a statement issued by Armscor. 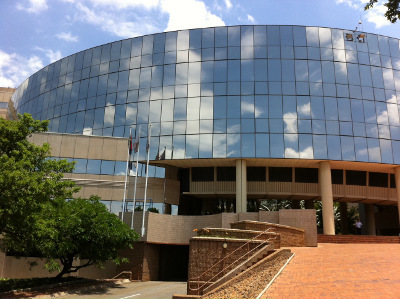 Sipho Mkwanazi, Armscor acting chief executive, said: “In delivering on its mandate, Armscor adhered to accepted principles of corporate governance and lawfulness. I am pleased to announce that, once again, Armscor has received a clean audit for the year under review”. Nombembe did however draw attention to the matters of target achievement in his notes that form part of the annual report. “Of the total number of 32 targets planned for the year, nine targets were not achieved. This represents 28% of total planned targets not achieved and is mainly due to the non-achievement of strategic objectives still being implemented on March 31, 2013 (the financial year-end),” he wrote on page 75 of the annual report. Examples of target non-achievement at Armscor were part of the documentary evidence introduced by the Defence Ministry during the North Gauteng High Court application by Lieutenant General (ret) “Mojo” Motau to be reinstated as Armscor chairman. His application was upheld but it will be appealed by the Ministry. A statement by Department of Defence Chief of Defence Materiel, Antonie Visser, cited three projects as unclassified of which he could give details. He was requested to prepare the statement by Dr Sam Gulube, Secretary for Defence. One was Project Vagrant for the acquisition of protection technology for SA Air Forces bases and deployed elements. It was approved by the Military command Council in November 2004. “After completion of the Armscor process to determine a preferred bidder, the Armscor submission was submitted to the Armscor board in November 2011 for approval to continue with the contracting process. There are varying reports as to whether the submission actually served at the board of directors or not. However, no decision was made thereon,” Visser’s statement reads in part. Project Vagrant and other projects were the subjects of a Department of Defence/Armscor work session in June this year. According to Visser “both parties agreed to disagree” and the issues would go to the Secretary for Defence and the Armscor board to seek Ministerial intervention for a mutually acceptable agreement. Project Swatch, for a transportable camping system, officially started in December 2010 when a request for information was issued for the supply of a transportable camping system. Offers were received and an evaluation made after which it went to the Armscor board on three occasions without any decision being made. A third project named by Visser was Project Porthole, for a high altitude parachute system. The project study for it was approved in November 2010 and a request for proposal went out to industry the following June. “After more delays a submission finally served at the Armscor board in February 2012. The board did not approve the bidder due to non-BBBEE (broad-based black economic empowerment) compliance,” his statement read. As far as its BBBEE status is concerned, the procurement corporation is now rated level three, well up from the last financial year rating of level seven. This rating recognises Armscor’s efforts to change the corporation, not only to comply with legislative requirement but also to bring about substantial and visible transformation to the organisation. “Concerted efforts need to continue to ensure this level is maintained or even improved,” he said. The man who has been acting chief executive since 2009 said the Naval Dockyard in Simon’s town was now ISO 9001:2008 accredited. “This was achieved despite the challenges of infrastructure renewal and insufficient capability,” he said. “The Parliamentary Portfolio Committee on Defence and Military Veterans welcomed Armscor’s performance results and expressed confidence in its ability to have delivered such good results amid the challenges it faced during the year under review. The Committee also welcomed the plans presented by the acting chief executive to overcome challenges relating to insufficient funding, skills and development, operational inefficiencies and effectiveness, as well as support to the South African defence industry,” General Manager: Marketing and Business Development, Lulu Mzili, said in the statement.